Sayenko Kharenko has been advising clients regularly on a variety of private wealth management projects over the last few years. The firm’s team has provided legal support involving paintings and other works of art, wine collections, jewellery, elite horses, private jets, yachts, football clubs, classic cars and property abroad. — Tax issues, currency control regulations and other aspects arising in connection with private capital structuring. Sayenko Kharenko’s strong reputation in private wealth management is recognized by the independent review Who’s Who Legal: Private Client 2017, which recommends practice head Alina Plyushch among the world’s best private client lawyers. Private wealth management has been under intense regulatory pressure as an industry since 2008. In the aftermath of the most brutal financial crisis of the modern era, G20 countries launched several initiatives to avoid any repetition. The fight against tax evasion and obscure asset ownership is among the most significant initiatives. A decade later, the trend towards greater transparency is far from wearing off. Ukraine is still very much part of this process. This is clearly demonstrated by changes in the scope and nature of the most in-demand legal services in the private client industry in 2017. — continuous leakages of privileged information from offshore service providers. In 2017, UBO registers eventually became the transparency standard for many legal systems. The BVI, the Cayman Islands and many other offshore “havens” also succumbed to this trend. Although not every UBO register is public, their introduction was complemented by numerous disclosure requirements. As a result, service providers have significantly increased their appetites for information on the real owners of offshore vehicles. This data will eventually be exchanged among authorities of jurisdictions participating in CRS and FATCA. In line with the global de-offshorization drive, Ukraine has joined the Inclusive Framework on OECD Base Erosion and Profit Shifting (BEPS) project, which provides for the implementation of four BEPS standards. To implement the project, Ukrainian President Petro Poroshenko issued a decree establishing a working group for the preparation of draft laws designed to limit the ability of business to optimise taxation. Draft rules on controlled foreign companies (CFC), as well as other proposals for counteracting aggressive tax planning schemes have been submitted to Parliament. Furthermore, in February 2017, the Ministry of Finance of Ukraine signed the Intergovernmental Agreement implementing FATCA. Negotiations on joining CRS were initiated in September 2017. Ukraine has declared its commitment to complete its first exchange of information under CRS in 2020. The State Fiscal Service and the National Bank of Ukraine (NBU) are the biggest supporters of the adoption of anti-BEPS measures and CRS implementation. Along with the seemingly unstoppable “X Papers” leaks, these factors redefine the very idea of private asset holding via offshore vehicles. Today, foreign holding companies, trusts and foundations have lost their attractiveness as a vehicle to conceal actual asset ownership. Unable to remain anonymous any longer, Ukrainian business owners now wish to assume control over their personal information shared by and between national authorities, financial institutions and service providers. A foreign corporate vehicle may still be a viable option. It requires conducting meticulous analysis of actual holding structures and designing a tailored solution that fits particular circumstances. Once formed, such vehicles will protect their owners from excessive disclosure requirements for many years. However, updating ownership and business structures in line with the pace of de-offshorization takes significant time. Hence, the early bird catches the worm. Liberalisation of Ukrainian currency controls in 2017 was another example of the shifting regulatory environment. Since June 2017, the NBU has allowed corporate bodies to invest up to USD 2 million abroad during one calendar year on the basis on an individual licence. So-called “e-licences” allowing individuals to invest in assets up to USD 50,000 or to transfer to their foreign bank accounts up to USD 50,000 in the course of one year, have also been introduced by the NBU. This liberalisation process has encouraged Ukrainian residents to invest abroad. It has also led to a surge in demand for advice on anti-money laundering (AML) and know-your-client (KYC) rules. Widespread enforcement of AML/KYC-compliance rules shakes the pillars of traditional relations between financial institutions (FI) and service providers and their clients. This is not only the case in the US or European jurisdictions. Indeed, the international fight against money laundering and tax evasion is prompting virtually all jurisdictions to toughen their compliance regulations. It also forces FIs of all major jurisdictions to initiate proactive identification of their clients. They usually require clients to provide detailed information about their accounts, personal assets and identity. The scope of this information depends on the FI’s jurisdiction and internal compliance rules. In particular, the FI may ask their clients to complete self-certification forms, provide detailed reports proving sources of funds, ownership structure, or share some financial and/or tax data. Whatever requested, any of these documents involves disclosing sensitive client data. Competent advisors should prepare these documents in advance. This is particularly the case with foreign banks, which insist that these documents be revised and certified by a reputable legal advisor. Failure to complete AML/KYC procedures drives a wedge between FIs and their clients. In practice, FIs are equally inclined to stop serving their clients or engaging new ones until rigid compliance rules have been adopted. If sufficient information is absent, foreign banks will exercise provisional freezing of corporate and individual accounts. Counterintuitively, investing in property abroad, opening a foreign bank account or buying foreign securities is still cumbersome for Ukrainian residents despite noticeable liberalisation of domestic currency control regulations. A lack of verifiable sources of income is the principle cause of this dead end. In line with international practices, measures of a similar nature have become reality in Ukraine. Throughout last year, the NBU continuously tightened its AML/KYC rules. Ukrainian banks have followed their lead. We expect to see intensification of similar measures in Ukraine in 2018. Due to increasingly refined regulatory requirements, the freeing up of frozen accounts and advising on ALM/KYC-related issues has become a highly specialised practice area for private wealth managers and lawyers. Unfortunately, there is no universal way out of this situation. The best and only long-term solution requires provisional investment planning and structuring income sources in a verifiable and cost-efficient manner. Again, designing and setting up an efficient asset ownership structure is a matter of many months rather than weeks. 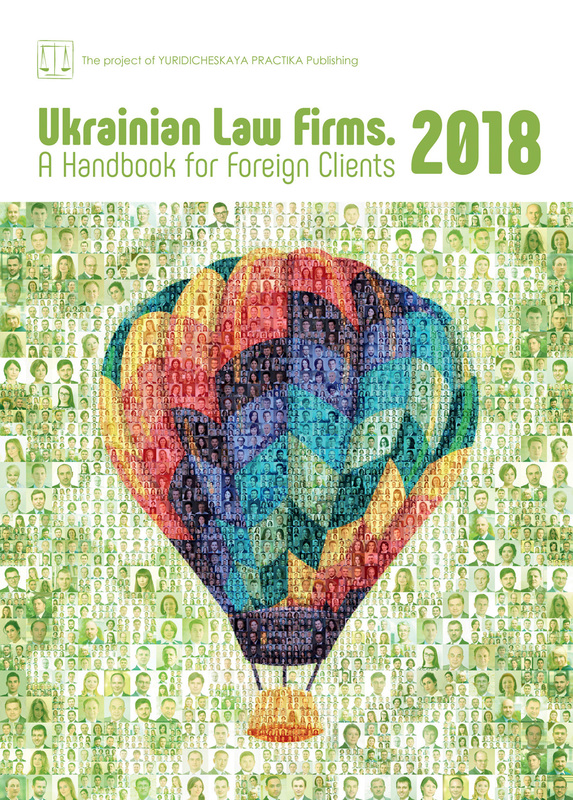 In addition to the above trends, there has also been an unexpected spike in demand for legal advice on international sanctions and surrogacy services in Ukraine. Introduced in 2014, Russia-related sanctions have become a highly relevant issue for businesses dealing with Russian partners. The restrictive effect of sanctions concerns both business structures and individuals. Various measures apply to individuals listed in the respective sanction lists. They range from visa/travel bans and asset freezes to risks of long-term detention. We note that, because of the loose wording of sanctions-related legislation and vague criterion of their implementation, ignorance of sanctions may be a costly error for the owners of internationalised Ukrainian businesses. Ukraine is one of four European countries allowing commercial surrogacy. Its favourable legal regime provides that the surrogate is not the legal parent of the child and may not claim any parental rights, which protects the interests of legal parents. Paired with moderate prices for most surrogacy services, these factors make Ukraine a top destination for fertility treatment. This has contributed to the emergence of particular legal solutions created to address all the sensitive issues in a brief and confidential manner. There is no doubt that the global de-offshorization trend will maintain its current pace in 2018 and beyond. The private clients industry has to change and adapt in line with this trend. However uncertain the new legal setting may be, observing the status quo ante will inevitably lead to failure.